Bacteria categorized under the Phylum Bacteroidetes and Phlyum Chlorobi are closely related base on comparative genomic analysis. The close relationship between Phylum Bacteroidetes and Phylum Chlorobi are supported by comparative genomic analysis which indicates they are derived from a common ancestor based on unique molecular signatures and common proteins. Phylum Bacteroidetes are composed of three large classes of gram-negative bacteria that are rod-shaped, non-spore forming, and present in anaerobic conditions. Bacteroidetes are found in numerous environments ranging from soils, sediments, sea water, and the guts and skin of animals. Phylum Chlorobi are composed of green sulfur bacteria that are categorized as photolithotrophic oxidizers of sulfur. Chlorobi species are commonly found in symbiotic relationships with colorless, nonphotosynthetic bacteria. photolithotropic: Obtain energy from light and use inorganic electron donors only to fuel biosynthetic reactions. Green sulfur bacteria: An image of a green sulfur bacteria which is categorized under the Phlyum Chlorobi and shares a close relationship with bacteria in the Phlyum Bacteroidetes. The Phylum Bacteroidetes are characterized as rod-shaped, gram-negative bacteria that are non-spore forming and are present in anaerobic environments. Bacteroidetes are capable of thriving in numerous environments that include soil, sediments, sea water, and in the guts and on skin of animal hosts. The Bacteroidetes are classified into three large classes which include the Bacteroidia class and the Porphyromonas class. The Bacteroidia class is the most studied and is present in the gastrointestinal system of mammals which allows it to be abundant in the feces. The Porphyromonas class is characterized by their presence in the oral cavity of humans. The bacteria categorized as bacteroidetes are opportunistic and are rarely pathogenic as they constitute part of the normal flora. The Phylum Chlorobi are characterized by bacteria that are obligately anaerobic photoautotrophic which includes green sulfur bacteria. The green sulfur bacteria are photolithotropic oxidizers of sulfur and utilize a noncyclic electron transport chain. The green sulfur bacteria are closely related to Bacteroidetes and are non-motile and can be found as sphere, rod, or spiral shaped. 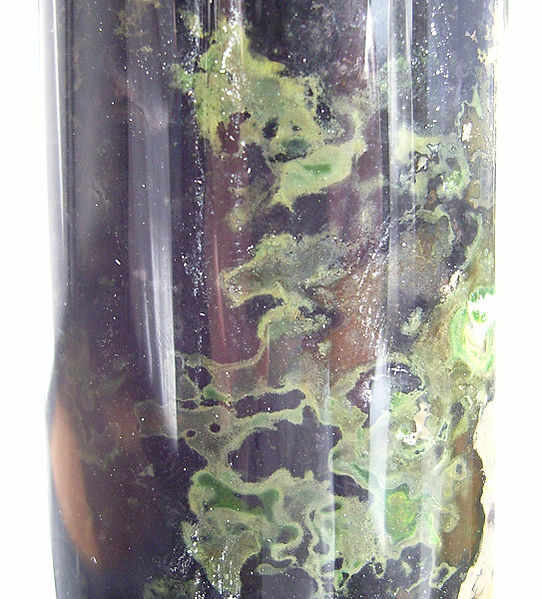 The most commonly studied model is Chlorobium tepidum which has had its complete genome sequences. Chlorobium species typically exist in symbiotic relationships with a colorless, nonphotosynthetic bacteria. The Phlyum Chlorobi is often grouped with the Phlyum Bacteroidetes because their branches are very close together in the phylogenetic tree. By utilizing sequencing techniques such as comparative genomic analysis, there have been three proteins which are unique to all members of the Bacteroidetes and Chlorobi phyla but not to other bacteria indicating a conserved protein signature. Further analysis has identified additional molecular signatures that support the close relationship between these two phyla as well indicating a common ancestor.